Secretary General Assistant assists the Secretary General in the management of work and performance of duties and tasks; works on projects of local self-government system; prepares opinions, comments and suggestions on the laws and other regulations governing local self-government; monitors and analyzes the application of laws and regulations on organization and functioning of local self-government; participates in the work of ministerial professional teams of interest to local self-government; prepares materials for the meeting of the Union’s organs and bodies; represents the interests of local communities before the state authorities; follows experiences of Montenegrin local communities and other local communities and their associations; works on programs related to raising level of qualification of local self-government officials and is involved in their implementation; monitors the situation of staff relations – personnel capacity of local government officials; performs other duties in relation to the system of local self-government, and other activities on the orders of the Secretary General. Secretary General Assistant, at the proposal of Secretary General, is appointed by the Executive Board for a term of four years. For his/her performance, Secretary General Assistant is responsible to the Executive Board. 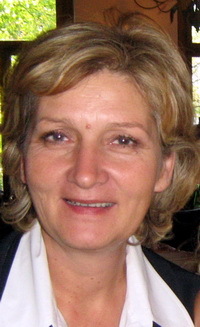 Mrs. Ljubinka Radulovic is Secretary General Assistant of the Union of Municipalities of Montenegro.